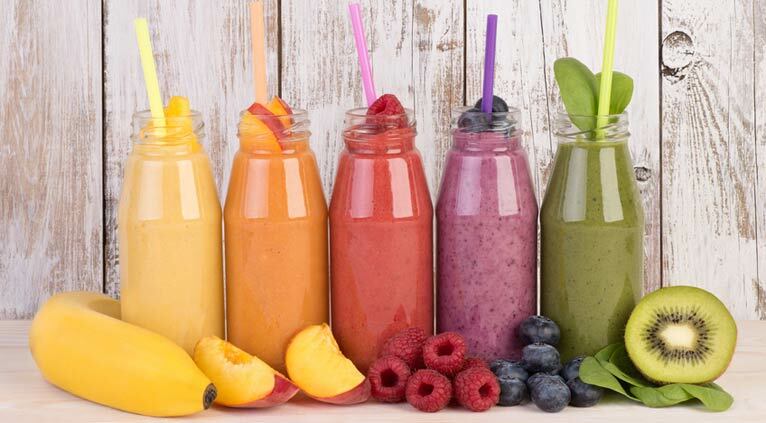 Our healthy and organic smoothies can be easily and quickly mixed with water or milk in a ratio of 1:8. You do not need a mixer or blender. Perfect as a drink for in-between, in the office or on the road. So you have your extra portion of vitamins always available, even if you do not have fresh fruits or vegetables on hand. The used fruit powders are from 100% pure fruit from organic cultivation and are really tasty - an excellent alternative to fresh fruits. Thanks to the gentle vacuum freeze-drying, the natural colour and flavour of the fruits remain almost identically.